Jan Fisher was born and raised in the Denver/Boulder area of Colorado. After graduating from high school she worked for a local computer company, then ended up moving to Arizona working for a computer firm in inventory control until it was sold. 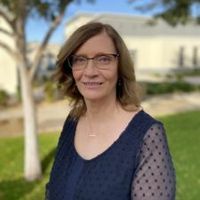 She worked for the Kyrene School District as a Kindergarten Instructional Assistant for 11 years, as an administrative assistant for 6 years, and most recently for Valley Christian High School in the finance department. Besides GNI, Jan works with a non-profit organization establishing long-term partnerships that build on the strengths and assets of neighborhoods in order to promote stronger, caring communities. She enjoys cooking, vacations with her sisters, making cards for our servicemen and women, and spending time with family and friends. She has two grown children. 1.) Hi Jan, Can you tell us what do you do for Good Neighbor, and how does it help non-profits, charities and individual travelers? I work with GNI Group Department doing administrative tasks which includes enrollments and terminations. I provide assistance to our clients with their claim challenges. My goal is to give our clients peace ofmind that someone is helping share their burden when they or a loved one is recovering from an illness, surgery or an injury. We are serving others as we would want to be served in similar circumstances. It is a family, an insurance family. GNI is a service-oriented insurance company that doesn’t just sell you insurance, but wants to help you get the best possible insurance that fits your budget. GNI doesn’t stop there but goes the “extra mile” if the client needs help with a claims challenge, or other unforeseen issue that occurs. That is what families do, take care of each other. 3.) Everyone else has gotten this same multi-part question, so here it goes…Where have you traveled to/lived? What did you like about it, and what has it taught you? My only experiences outside of the US has been Canada – Niagara Falls, Victoria Island and Vancouver – and Mexico – Nogales and Rocky Point (Puerto Penasco). What I have learned is that while not every place is beautiful to the eye, beauty can also come from the people you meet along the way. Cities, cultures and people may look different, but people are basically the same. We all like someone who smiles at you, says hello, or engages you in conversation. People are what make new places interesting and beautiful to visit! 4.) What’s on your Bucket List? – What are the next 3 places you’d like to go, or things you’d like to do (if money were no object)? 1. I’d like to go to Seattle with my son to see the Seattle Aquarium. My son has loved fishing and fish since he was a young boy. I would like to share that experience with him. 2. Ireland with my sisters or daughter. I am part Irish so that is part of the attraction. Every photo I have see of Ireland is so lush and green. I guess living in a desert is the reason all that green expanse calls out to me like a glass of water on a dry, hot day! 3. New Zealand would be another place I would like to see. There are many different terrains and vegetation that make it so appealing! Of course all these places mentioned have amazing people which add to the overall beauty of each of these different locations! The first night upon arrival of your destination, especially if you have flown all day or are flying in late at night, make reservations at a nearby hotel and take that time to catch up/adjust. Traveling can be exhausting, and you’ll be better rested for the rest of your trip! 1.) I am very thankful that I can see so many colors. How boring this world would be if we could see it only in black, white, and shades of grays. 2.) I am thankful for the sound of children laughing which always lifts my spirits.